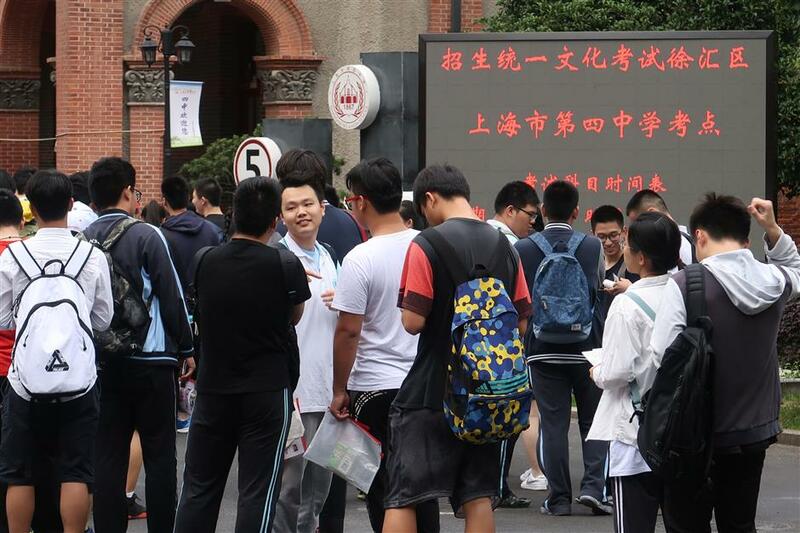 More than 50,000 local high school students on Thursday started sitting the annual three-day gaokao, the university entrance examination. 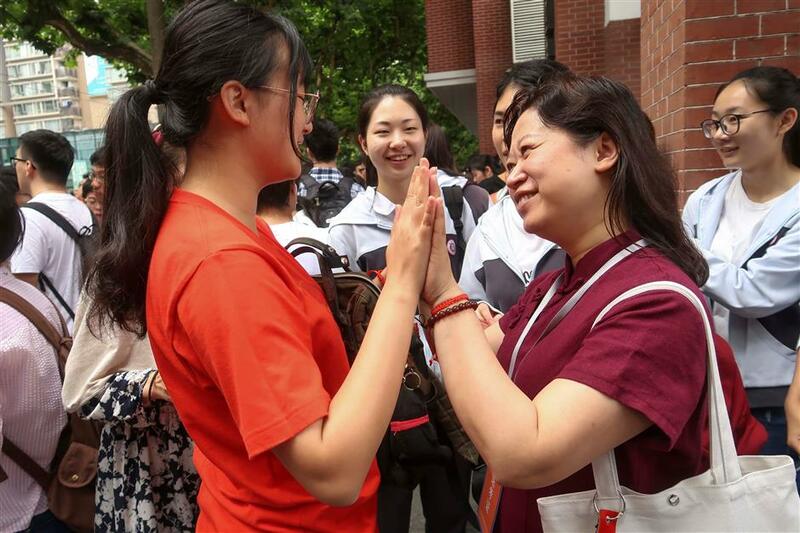 A teacher cheers her student up before the college entrance exam at Shanghai No. 4 High School in Shanghai on June 7, 2018. 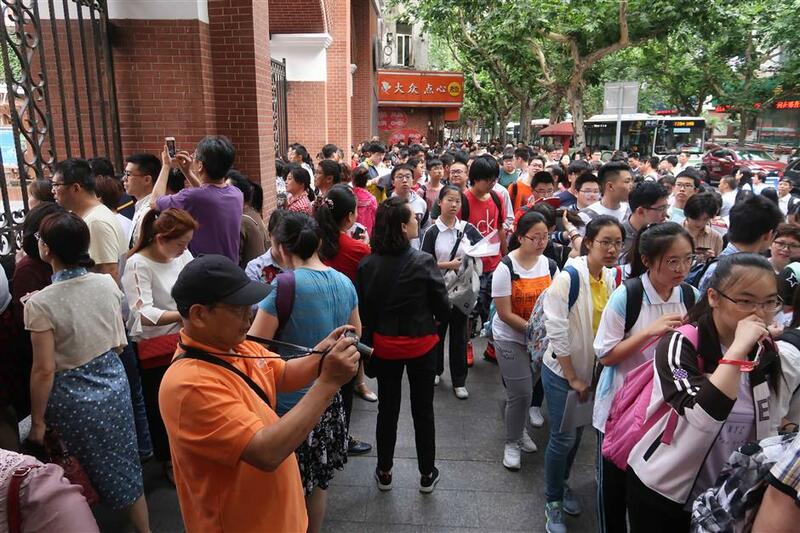 Students enter the exam venue at Shanghai No. 4 High School in Shanghai on June 7, 2018. 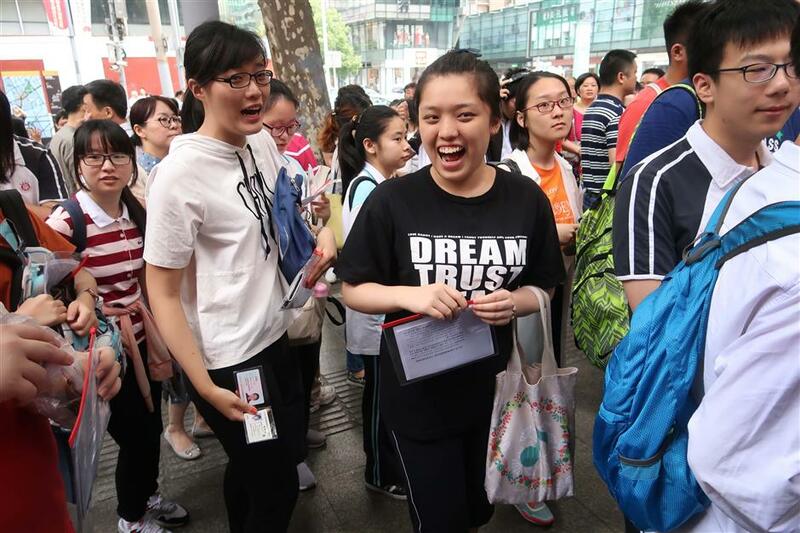 Students enter the exam venue at the Shanghai No. 4 High School on June 7, 2018. 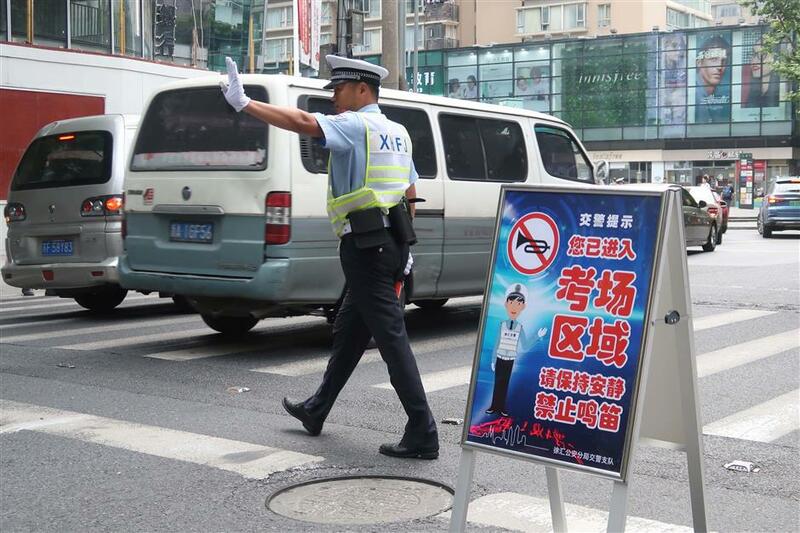 A traffic policeman directs traffic near the Shanghai No. 4 High School on June 7, 2018. There are more than 2,000 test rooms at 99 sites across the city this year. Video inspection systems, radio systems to prevent cheating, student identity verification machines and emergency response command systems are all ready, trying to make sure the exam, one of the most important in China, goes on smoothly. 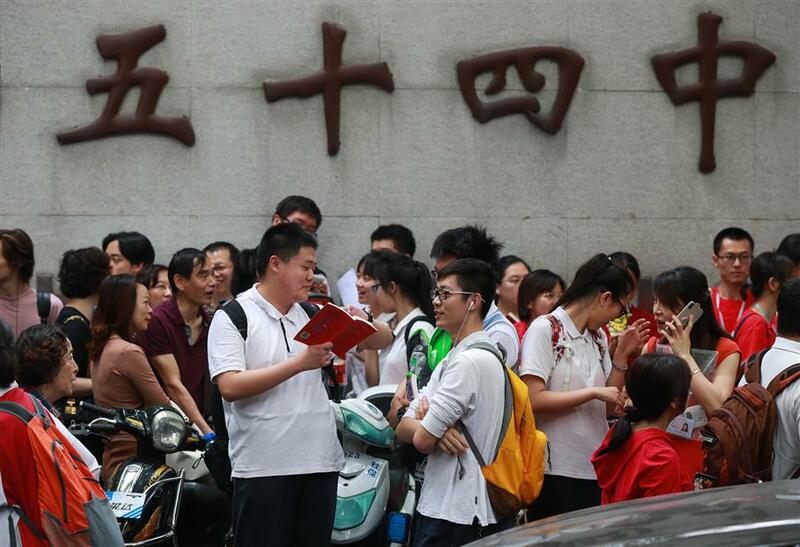 Students wait to enter the exam venue at Shanghai No. 54 High School on June 7, 2018. 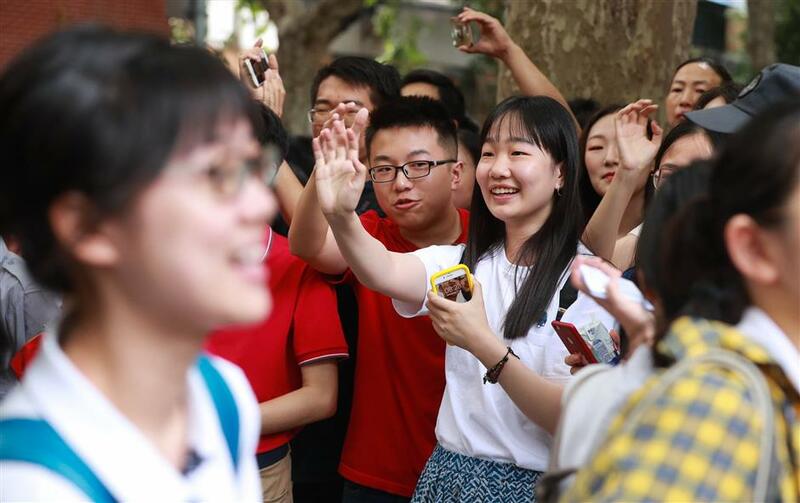 Students cheer each other up before the exam starts at Shanghai No. 54 High School on June 7, 2018. A teacher gives a student a high five before the exam starts at Shanghai No. 54 High School on June 7, 2018. A teacher hugs a student before the exam starts at Shanghai No. 54 High School on June 7, 2018.